For more than two decades, our team at Action Garage Door has been committed to providing customers with high quality services and low prices. We specialize in garage door repair in Rosenberg, tackling issues that range from defective openers to total door replacement. When you are worried about the safety of your home or business, you can trust our team to quickly get the job done. 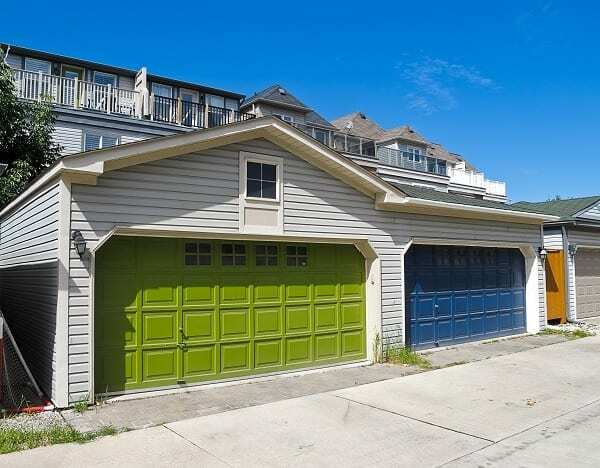 Our highly trained team has experience working on all makes and models of garage doors. From mechanical issues to cosmetic damage, there is no project too big or small for us. Our experts can walk you through the process, diagnosing the problem and providing you a free written estimate for the cost. No matter if you are worried about protecting your property or insulating your space against inclement weather in Rosenberg, our staff will respond quickly to make the necessary repair. We offer 24-hour emergency garage door repair service and will be at your home or business within an hour of your call. No two home or business owners are alike, and our garage door repair company understands that no two will want the exact same garage doors and set up. 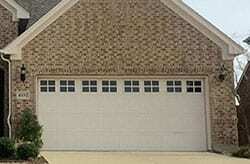 At Action Garage Door, we offer a variety of garage doors for installation in Rosenberg homes and offices. Some of our options include Carriage House, Olympus, Classica, Stratford/Heritage, and Amarr garage doors. 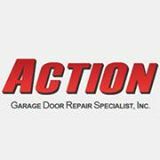 Allow our team at Action Garage Door to perform your installation or garage door repair in Rosenberg. To schedule a free-in home estimate today, please contact one of our friendly representatives. 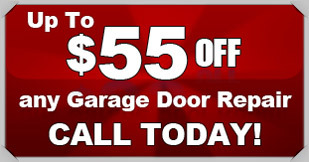 Need garage door replacement in Rosenberg? No problem. Annoyed by recurring parts failures or the need for minor adjustments? Handle all those minor problems as well with a call to Action Garage Door. We are a trusted resource in the area, and we respond quickly to restore full operation to your garage — no matter how large or small your complaints and your needs. Just call us! The city of Rosenberg, with a population of 35,500 in 2015, is located in Fort Bend County, and is the site of the Fort Bend County Fair held in October. It lies adjacent to Richmond, the Fort Bend County seat. The median home price in Rosenberg is about $114,000 and about half its residents own their homes. Home owners enjoy a median household income of $55,767, with an average of three-member households. The city enjoys a pleasant site on the south bank of the Brazos River, with a land area of more than 22 square miles. The Southwest Freeway, Highways 52 and 69 at this point, runs through the city’s south side, and take commuters to Houston, some 32 miles northeast, as well as south to Victoria and beyond. Get into the city whenever you need to, and have some fun at the river or head south to the beach whenever you want to! The Lamar Consolidated Independent School District serves local students, and the student-teacher ratio is extremely low at 13:1. Test score averages are in the 90th percentile for the 15 public schools in the city, approximately 32 percent higher than the national average. Rosenberg’s historic downtown area has been redeveloped and includes a wealth of boutiques, antiques shops, restaurants and local firms that cater to residents as well as visitors to the city, The downtown area is also a developing art center, and also offers shoppers fine handmade furniture, rare books, jewelry and clothing. It’s a unique shopping experience. Head to the Ol’ Railroad Cafe for good food in an old-time setting. If you choose Rosenberg as your home, you can be assured that you will enjoy the ease of a relaxed community as well as the advantages of having a world-class city at your front door. It’s a great way to have it all! And if you’re looking for home contractors, you’ll find plenty available, no matter whether you want to build an addition or just paint a room. Technician explained options clearly and fairly and allowed me to choose best solution to repair my door. Great knowledge, skill and courtesy. Very professional. Showed up on time. Excellent work. Installed new 3/4 hp liftmaster belt drive garage door opener for customer. Assisted customer with their garage door problem. GFCI reset and caused their Liftmaster garage door opener not to work. Just installed new torsion springs system.